Discover how your favorite films were made. Get hands-on with the science, technology, math, art, and engineering concepts used at Pixar everyday. We think you'll see your favorite films in a whole new way once you experience the amazing science, technology, art, and math (STEAM) concepts that artists and computer scientists use to help bring Pixar’s award-winning films to the big screen. 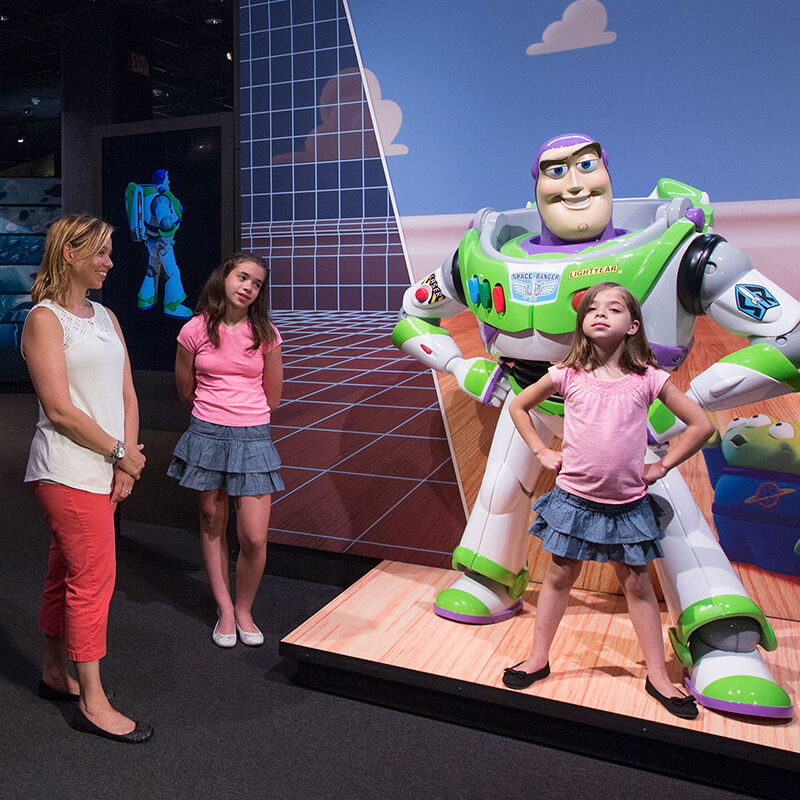 Hear firsthand accounts from members of the studios’ production teams, and come face-to-face with re-creations of your favorite Pixar film characters, including Buzz Lightyear, Dory, Mike and Sulley, Edna Mode, and WALL•E! 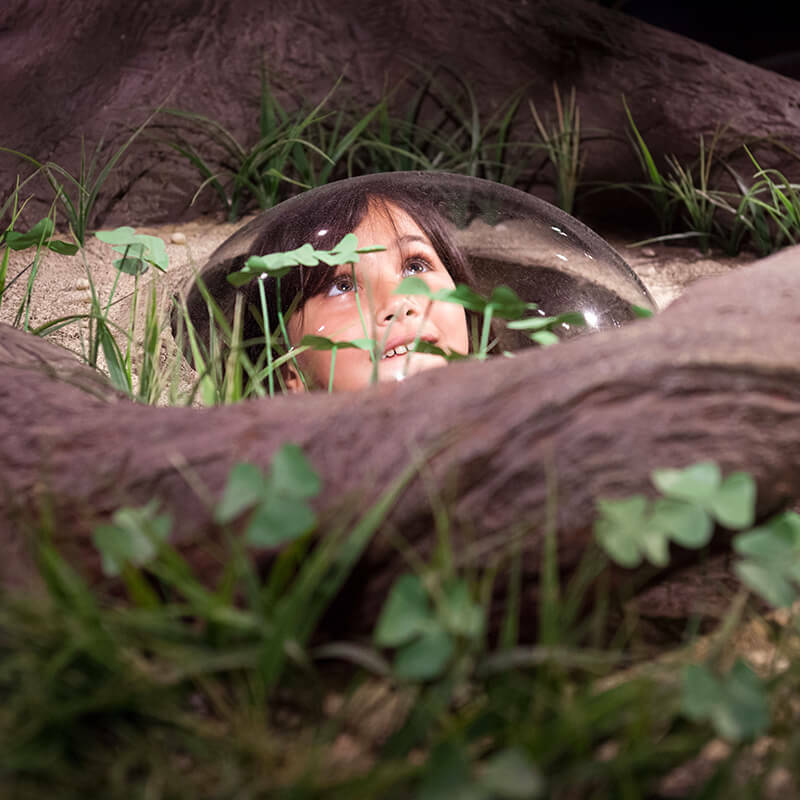 In this interactive exhibit, you'll learn how a bugs-eye view was achieved for A Bug's Life, create facial expressions through character rigging, design a virtual set, and more. Questions about The Science Behind Pixar? Browse our FAQ's for info on the exhibition, ticketing, and more. Q. When will this exhibition be at OMSI? A. 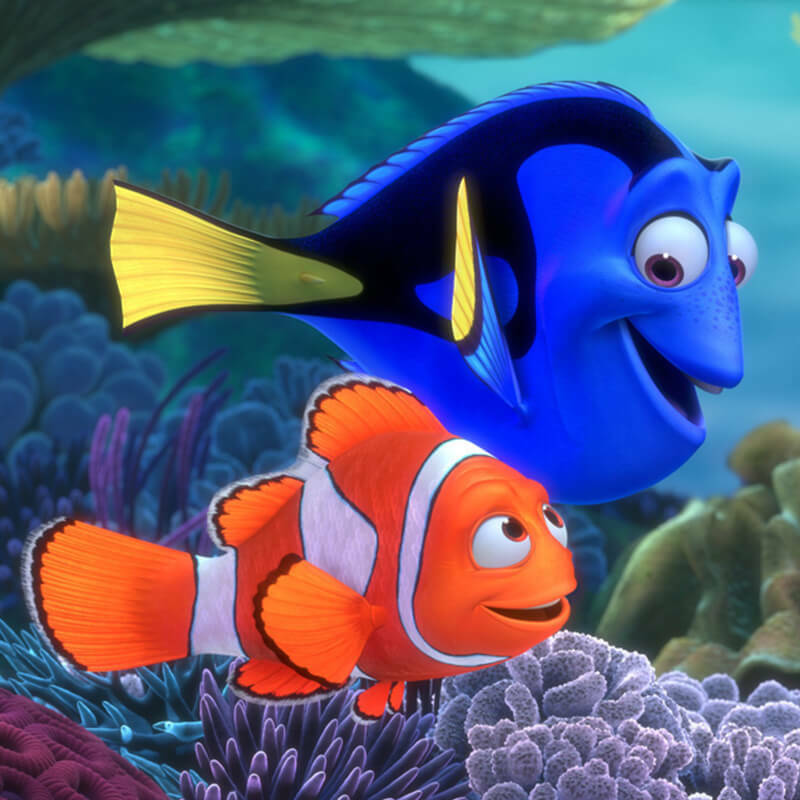 The Science Behind Pixar will be at OMSI February 23 – September 2. A. Tickets to The Science Behind Pixar, which include general museum admission, are $21 for adults, $14 for youth (ages 3-13), and $17 for seniors (ages 63+). Prices for OMSI Members are $5 for adults, $3 for youth, and $4 for seniors. A. Guests may view the exhibition Tuesday through Sunday from 9:30 a.m. to 5:30 p.m. with the last entry to The Science Behind Pixar scheduled for one hour prior to closing time. The museum and exhibition will also be open on Mondays when school is not in session. Extended museum hours until 7:00 p.m. will be offered during select holiday periods. Please visit omsi.edu for the latest information on dates and times. A. The Science Behind Pixar is a timed-entry exhibition, which means you will be asked to select a date and time when you purchase your tickets. For example, if you purchase tickets for April 7 at 11 a.m., you will enter the exhibit at 11 a.m. or shortly thereafter. Ticket holders should plan to arrive to the exhibit line approximately 10 minutes prior to the time printed on their ticket. A. In order to ensure that you enter The Science Behind Pixar at the approximate time printed on your ticket, we ask that you present your ticket to exhibition staff about 10 minutes prior to the printed time. This allows us the opportunity to provide you the complimentary exhibit audio guide, briefly orient you to the exhibit, and answer any questions you may have. A. Guests arriving after the ticketed time will be accommodated on a space available basis. For safety and accessibility reasons, guests arriving at the exhibit line more than 30 minutes prior to their ticketed time may be asked to visit other museum areas until closer to their designated time. A. Individual visit times will vary, but most guests can anticipate spending 60-90 minutes at The Science Behind Pixar. Guests are welcome to stay inside the exhibition until the museum closes for the day if they wish. Q. Is photography permitted in the exhibit? What about food and drink? A. Non-flash, personal use photography is allowed as long as it does not distract from the exhibit experience and respects the privacy of other visitors. Videography, selfie sticks, tripods, and monopods are not permitted inside the exhibit. Food and drink are not allowed inside the exhibition. Q. What areas of Animation are included in the exhibit? Modeling. Character design starts with artists who create sketches and clay sculptures called maquettes to get each character just right. Then, a digital modeler creates a virtual 3D model of the character, some-times digitally scanning the maquette. The final model is a virtual digital wireframe of points and the edges that connect them. Rigging. Riggers create rigs—the virtual bones, joints, and muscles for models. Rigs specify the relationships between body parts so that bending a knee will raise the foot, but not move the hands. A good rig allows the animators to create poses easily and efficiently. Without the right controls, the model won’t move the way it should. Too much flexibility makes posing the model too time consuming. Surfaces. The way something looks tells a story. What is it made of? Is it new or old? Well taken care of or neglected? After a virtual 3D model is created, a surfacing artist constructs its appearance with computer programs called shaders. They determine the way light scatters off the surface so it looks shiny, transparent, and smooth (like glass) or dull and rough (like rust). Sets & Cameras. Movies need more than just characters. The setting of each scene and the way each image is framed convey the context, story, and emotion. Set designers are architects. They build virtual environments from the ground up. Every pebble, tree, and building helps turn the storyboards into a believable world. Camera artists use virtual cameras to shape what is shown on screen. They choose the composition, camera movement, and lens type to support the story. Animation. Pixar animators bring a story to life, posing characters to act out each scene. Animators start by creating key frames that mark out important positions in a movement. Then, they use a computer program to describe how the object moves between those key frames so that the resulting animation conveys the desired emotions. Simulation. While animators focus on acting, simulation programmers create motion that makes scenes feel alive and believable. Some simulations––hair, fur, and clothing––respond to the way a character moves. Other simulations re-create natural phenomena, such as fire or water. Programmers start with the underlying physics, but they balance believability with the artistic needs and the time it takes to run the simulation. Lighting. Lighting is an essential part of telling a story. Light shows you where to look and enhances the emotional feel of each scene. Pixar’s lighting designers have the additional task of defining virtual lights in the computer. The color, position, and intensity of each light needs to be programmed to achieve the desired artistic effect. Rendering. The virtual scene is set—the characters are shaded and posed, the lights and camera are in position, and the simulations are ready to run. But no one knows what it looks like until the rendering process turns all that data and programming into an image we can see. Pixar generates low-resolution renders for work in progress and high resolution renders for the final film. Q. How does the exhibit teach about these eight steps of the animation pipeline? A. This is a very hands-on exhibit. The different sections of the animation pipeline come to life through interactive screen-based and hands-on exhibits, which help guests understand the animation process. Each of the eight sections highlight Pixar employees, who share insight into the complex challenges Pixar has overcome in the development of its ground-breaking films.